UCL’s breakthrough treatments for leukaemia and aggressive cancers have been featured in a list of the UK’s 100 best breakthroughs of the last century for their significant impact on people’s everyday lives. The list of breakthroughs demonstrates how UK universities are at the forefront of some of the world’s most important discoveries, innovations and social initiatives, which also includes the discovery of penicillin, work tackling plastic pollution, ultrasound scans to check the health of unborn babies and the establishment of the Living Wage. Supporting the UUK campaign, UCL President & Provost Professor Michael Arthur said: “Universities are transforming lives everyday by working to solve some of the biggest issues facing the world and by engaging with their local communities. 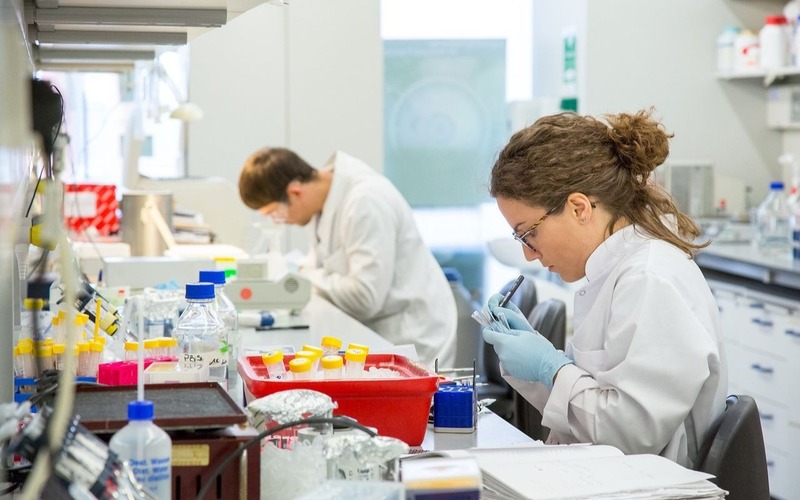 “The breadth and impact of discoveries made at UK universities highlighted by this campaign is extraordinary and shows how we are all benefitting from the innovative and hard work of researchers. “At UCL, we’re extremely proud of our ground-breaking research which spans a multitude of areas, from communications technology and space to sustainable cities and education. “We are delighted to be supporting the campaign and as part of it, we are highlighting our world-leading cancer research which has revolutionised diagnosis and treatment of the disease, helping transform the lives of millions of patients worldwide. UCL researchers, including Dr Martin Pule, Dr Claire Roddie and Professor Karl Peggs (all UCL Cancer Institute) and Professor Emma Morris (UCL Infection & Immunity), along with colleagues in UCL’s partner hospitals, have played a leading role in developing CAR T-cell therapy, which modifies the immune system to destroy cancer cells. “T-cells are like little robots on a seek-and-destroy mission. We re-programme them to detect and fight cancer,” explains Dr Pule. Professor Waseem Qasim (UCL Great Ormond Street Institute of Child Health) has brought this research into clinical practice in pioneering work using T-cell therapies to successfully treat childhood leukaemia. UCL cancer researchers have also led advances that have doubled the accuracy of prostate cancer diagnosis, led by Professor Mark Emberton (Dean, UCL Faculty of Medical Sciences), allowing over one million men a year to avoid an unnecessary biopsy. Another key breakthrough has been led by Professor Jayant Vaidya (UCL Surgery & Interventional Sciences) in developing a single-shot dose of radiotherapy, TARGIT IORT, for use during breast cancer surgery to remove the need for weeks of postoperative radiotherapy. The UK’s Best Breakthroughs list: 100+ Ways Universities Have Improved Everyday Life was put together in partnership with universities across the UK. As part of the MadeAtUni campaign, every university in the country was invited to nominate the one thing from their institution which they believe has had the biggest impact on people, lives and communities. The entries cover health, technology, environment, family, community and culture and sport.